Senators send a letter to Iran: The Republicans’ latest Iran ploy Is brazen, borderline unconstitutional, and totally predictable. Exasperated by their inability to deter the Obama administration from signing what they view as a disastrous nuclear treaty with Iran, Senate Republicans have decided to see if they might have better luck with the Iranians. Then again, given the approach the administration has taken toward these negotiations, which involve sidelining Congress entirely, it’s hard to get on a constitutional high horse about the Republicans’ latest gambit. The full details still haven’t been released, but the most likely outcome is that in exchange for nuclear concessions, the administration will agree to suspend some of the sanctions against Iran through executive action. Eliminating the sanctions entirely would require (extremely unlikely) action by Congress, but executive actions could at least buy a few years for the deal to go into effect. If senators have their ability to vote on treaties taken away, it’s entirely predictable that they’ll find other ways to block them. It’s worth pointing out that when positions have been reversed, Democrats have objected to presidential tactics like this. Back in 2002, when George W. Bush attempted to reach a handshake agreement on nuclear arms reductions with Vladimir Putin without a formal treaty, then-Sen. Joseph Biden demanded that the deal be subject to Senate ratification. As with issues ranging from immigration to climate change, it’s clear the White House feels that overwhelming Republican intransigence justifies an Iran deal that won’t be subject to congressional approval. Given the importance of the deal and the near impossibility of ratifying treaties in today’s Congress, I think that approach is justified. But if the White House is going to entirely abandon the route to treaties laid out in the Constitution, it can’t really complain when senators don’t stay in their lane. At this point, everyone seems to be breaking the rules. 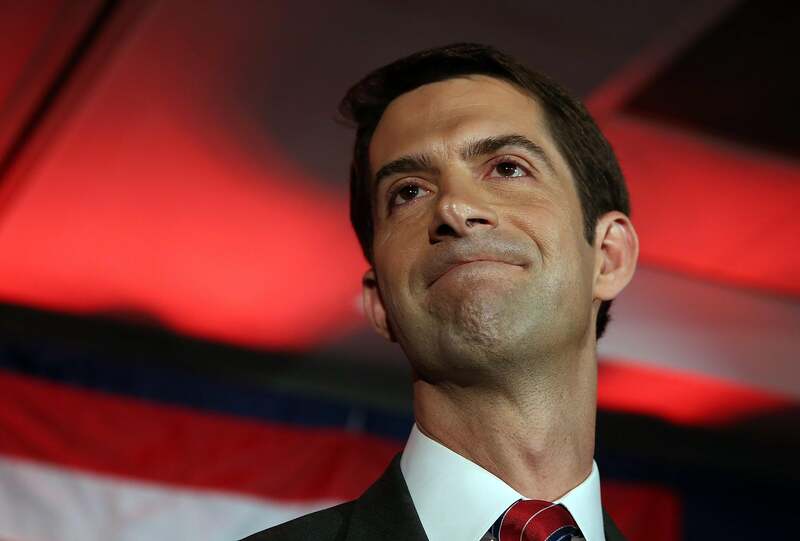 *Correction, March 10, 2015: The photo caption on this post originally misidentified Tom Cotton as a representative. He is a senator.